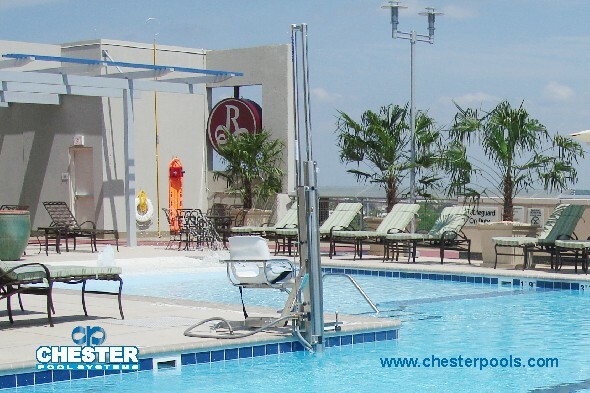 Add accessibility to your pool with a safe, convenient pool-side lift. 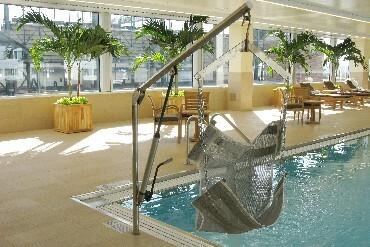 A choice of handicap lift styles and features are available depending upon the location of the pool, and type of use. All lifts feature sturdy, durable construction combined with easy operaton.